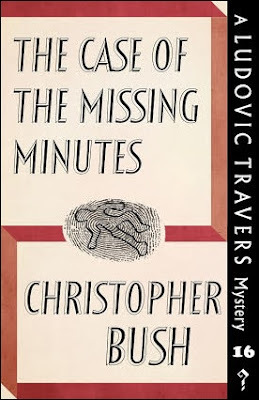 Christopher Bush's The Case of the Missing Minutes (1936) is the sixteenth title in the Ludovic Travers series, published between 1926 and 1968, in which Travers has to demolish an alibi as ingeniously contrived as the time-manipulation trick from Cut Throat (1932) – except that here there was a human element as to how ten minutes were lost to time. Or, as a certain detective would have called it, "the blinkin' awful cussedness of things in general." 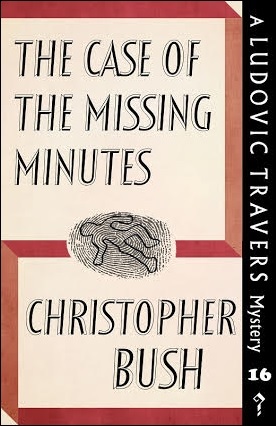 I have come to appreciate Nick Fuller's observation that Bush was to the unbreakable alibi what John Dickson Carr was to the locked room mystery, but The Case of the Missing Minutes has another aspect that makes the book standout. The truly reprehensible personality of the victim and how his own revelations forced Travers to bow out of the case. Quentin Trowte is an elderly, eccentric sadist and his crime makes him as repulsive a character as Mary Gregor (Anthony Wynne's The Silver Scale Mystery, 1931), Sandra, the Fat Woman (Nicholas Brady's The Fair Murder, 1933) and Mr. Ratchett (Agatha Christie's The Murder on the Orient Express, 1934). Trowte has obtained fully custody over his 10-year-old granddaughter, Jeanne, who lives with him a dark, lonely house where she's home-schooled by a private-tutor, Mr. Howcrop. Only other people who are present are the two servant, Lucy and Fred Yardman, who are banished to their cottage after the dinner table had been cleared. However, they did not suspect anything untoward was happening in the house, because the elderly eccentric appeared to dote and adore his granddaughter. Yardmans were also of the opinion that Jeanne was "a very deceitful child," but then they began to hear the shrieks coming from the house in the dead of night. Lucy Yardman decides to write her former employee, Helen, whose brother is Ludovic Travers and he decides to go down to place to observe the situation, but when he arrives at the home he finds the door slightly ajar and inside he finds Trowte sprawled in the hallway – gasping for his last breath. Someone had knifed the old man in the back mere minutes before he arrived. A frightened, white-faced Jeanne was crouched by the stairs and she turns out to be fully dressed beneath her nightdress, which is the first of many unsettling discoveries they make about the girls. A doctor determined that Jeanne was an undernourished, "bundle of nerves," which comes on top of the unsettling discovery that the house had been fitted with means to spy on Jeanne and Howcrop. Such as a secret panel in the dark, windowless bedroom of the girl and the presence of a locked, but empty, room. Travers not only plays his usual part as a lanky, bespectacled detective, but doubles as "Uncle Ludo" in an attempt to win the confidence of the frightened child. But his interest in Jeanne is not merely to pry information from here. Travers becomes genuinely fond of the child and tries to analyze why he wanted her to be fond of him, which eventually makes him to decide to withdraw from the investigation. Overall, the murder of the Quentin Trowte is a complicated one with many side-issues. Why did the girl's tutor showed such great affection to the girl after the murder and is there a link to a famous pianist who's holidaying in the neighborhood? The local village physician, Doctor Mannin, was asked by a passing car to help one of the passengers, who had a stab wound in the arm, but after he had stitched up the man he was knocked over the head and thrown in a ditch – from which he emerged with a broken leg. However, this plot-thread was the only one of the bunch that had a less than satisfactory answer. And then there are the alibis. One of these alibis, if it was manufactured, makes absolutely no sense. Not if that person is the murderer. Interestingly, there was a very brief promise of an alibi-lecture, like the Dr. Fell's locked room lecture in Carr's The Hollow Man (1935), when one of the suspects asked Travers what kind of ideas he specialized in. 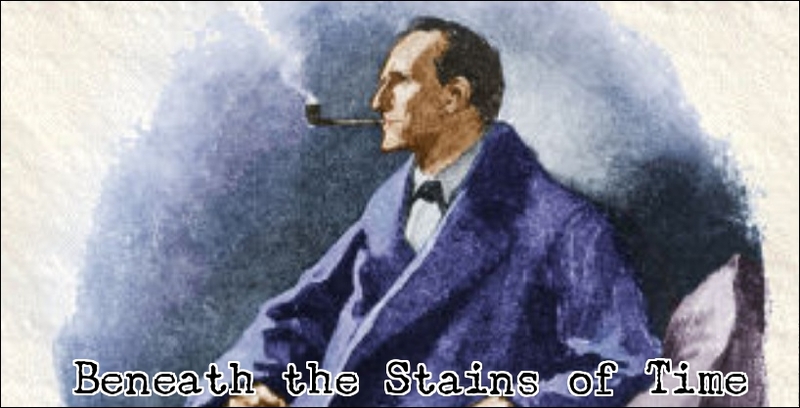 Travers answered that he specialized in testing people's alibis and "trying to prove that no gentleman, however ingenious, can be in two places at once." Sadly, he only mentioned "clock manipulation" and the time-honored dodge of convincing an impartial witness that "you were not where the police claimed you were." I would have liked a chapter-length lecture on all of the familiar alibi-tricks used in detective stories. Has this been done by any other mystery writer or perhaps in later Bush novel? So the case has more than enough peculiarities to keep an inquisitive amateur fully occupied, but when Travers discovers why Trowte had a twenty-five shilling bill from a pet shop he throws in the towel. By this point, Travers has a good idea who the murderer is and, eventually, his policeman friend, Superintendent George Wharton, finds his way to the murderer as well, but both are stumped by the alibi. 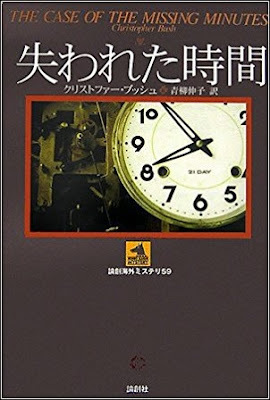 An alibi that continues to stump Travers until the very last pages, during which he gets a flash of inspiration when Jeanne is trying to stay up pass her bedtime and grasps the answer to the missing ten minutes. An answer that's as clever as it's bittersweet. The Case of the Missing Minutes is Bush's The Crooked Hinge (1938) and, while the alibi-trick does not exactly qualify as an impossible crime, the plot is more Carr-like than The Case of the Chinese Gong (1935) and the cruel abuse of a 10-year-old child makes this a highly unusual, but memorable, detective novel from the genre's Golden Era. Highly recommended. I guess the time has come to induct Bush into my personal hall of favorite mystery novelists. Let's be honest, it was inevitable after Dancing Death (1931) and The Case of the Arpil Fools (1933). On a final note, I wanted to do three Bush reviews in a row, but there will be break and you can blame our mutual friend, "JJ," because he said Randell Garrett wrote a short Lord Darcy story with a locked room trick that he considered to be top 20 material. Yes, the guy who made an impossible crime novel about wizards, swashbuckling specters and locked room murders a dull snore-fest wrote a classic locked room tale. I'm sure he did. So you better pray that the story is as good as you remember it, JJ, because it's next on my chopping block. It sounds like you would rate 'Missing Minutes' very near the top of the list of Bush titles you've read? I'm really glad Dean Street Press decided to release so many Bush titles - the ones that Kate and Puzzle Doctor reviewed in the past, before these recent released, seemed to be weak mysteries. And so I'm relieved to discover that there are many strong titles awaiting to be read! As of now, I would rank Missing Minutes among the best three Bush titles read so far. Not just on account of how the alibis were handled, but for the story as a whole, which differed from your usual Golden Age mystery. I bought this yesterday on your recommendation. Sounds good! It appears to be a good place to start with Bush. Thanks! I had a stack of Amazon cards for my birthday. Lots of books! Happy belated birthday, Brad! And if you like Missing Minutes, you should also get yourself a copy of Cut Throat. It has an alibi-trick as ingenious as any of Carr's best locked room illusions. You'll like it. Thank you sir! I thought I'd mention the cards because I told you that I had ordered the whole set of Roger Scarlett books based on your recommendation. I'm not independently wealthy, it was just my birthday. And the thought of an alibi trick as ingenious as a Carr illusion is very exciting indeed!